I’m sure you all know that we are huge lovers of Mexican dishes over here. Enchiladas, taco salad, fajitas, tacos, etc., you name it – we love it. 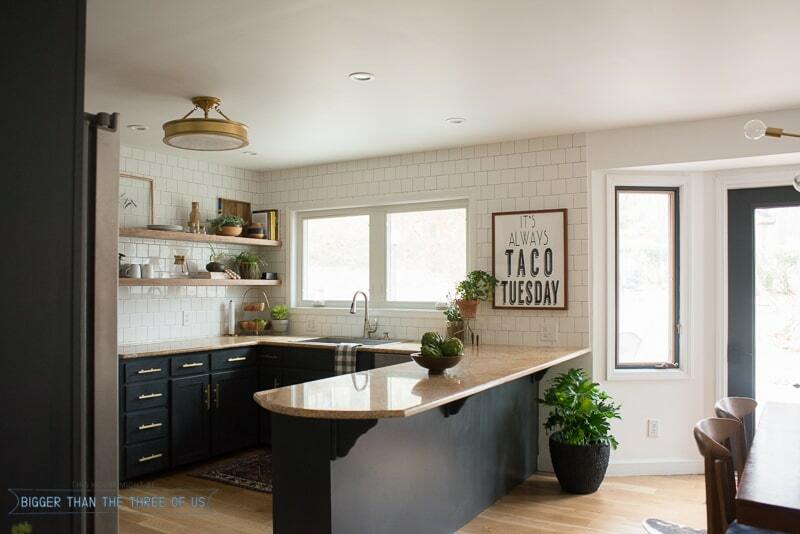 I mean, we even have a “It’s Always Taco Tuesday” sign (purchase your Taco Tuesday art here) in our kitchen. 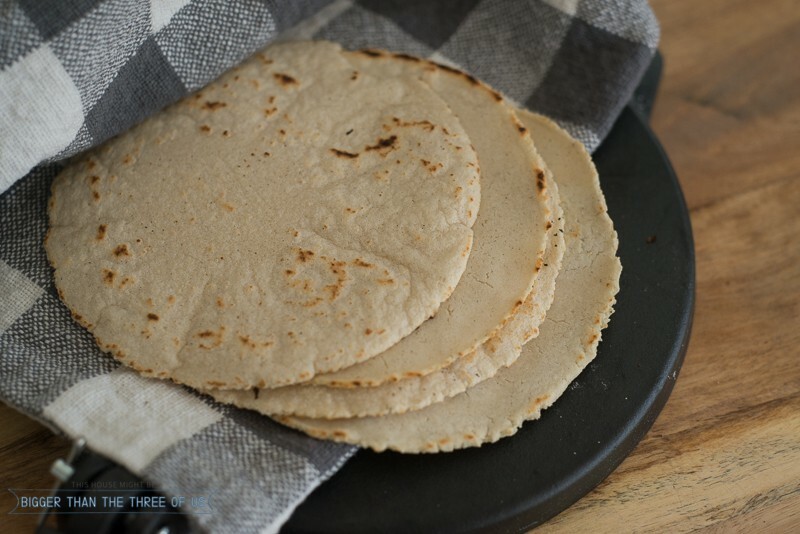 And, as far as I’m concerned, there are three major components to the best ever Mexican night at your house; and one of them is these amazing homemade corn tortillas. I don’t want to leave you hanging on the other two: our go-to lime margaritas (which are always a crowd favorite) and guacamole (homemade of course!). I need to share both of those recipes sometime! Although, we don’t really have a recipe for the guacamole. It’s one of those things that we do so much that I just know by heart. But, I can put one together for you all. Ok, back to the homemade corn tortillas. You can find standard tortilla recipes on, just about, the back of every container of Masa (we use instant corn masa flour). It’s a super simple recipe, just water and masa! The key is the few tricks that we learned along the way. Specifically, the ziplock bag addition that’s listed in the recipe below. I put together this video to show you the process of how we make them and then the full recipe is at the bottom. These are some of our favorite tools when we are making homemade corn tortillas. *Affiliate links below. Click to read my disclosure policy. 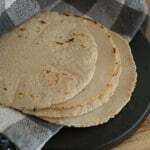 Delicious and simple homemade corn tortillas. Grab a large mixing bowl. Measure out two cups of masa and pour it in the bowl. Add 1.5 cups of hot water to the masa. Use your hands and mix together. Knead into a ball. Cover with plastic wrap until skillet is hot. Heat a cast iron skillet on high heat. Take your ball and place it on the counter. Cut in half with a knife. Cut each halve into half again. Repeat this process until you have 16 small pieces. Roll each piece into a ball. 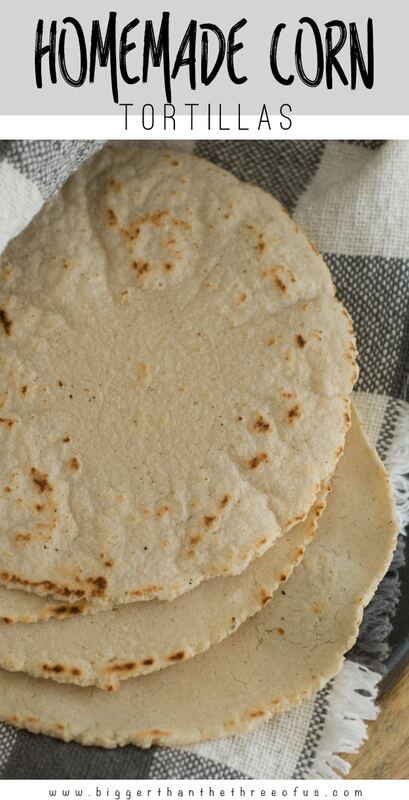 Place a cut ziplock bag onto a tortilla press. Sprinkle with masa (so that your tortillas won't stick). Press each ball, individually in the press. Place a flattened tortilla in the skillet. Cook for approximately 30 sec-1 min and flip. Best if served immediately. Until all tortillas are cooked, wrap each finished tortilla together in a towel.